Well dammit. 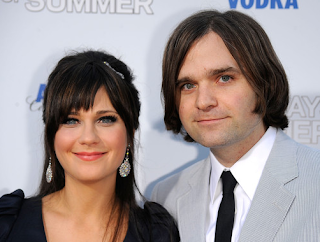 Just over a month after I put them on my Top 5 Celeb Couples list, Ben Gibbard and Zooey Deschanel announced their split. Hipster devastation. Zooey was becoming pretty main stream with her new TV show and everything...so did the New Girl kill the Death Cab singer and his Katy Perry look alike? I am going to have a night of mourning...while not watching the New Girl in protest.